Higher Education is provided free (for EEA students) and the educational programs are mainly in the Greek language. However, some specialized courses (like Engineering) mainly at master's level are offered in the English language. The basic requirement for admission to tertiary education (which is University Education) is possession of the Unified Lyceum leaving certificate also performance in the nationwide test is an important factor in admission (some universities might have their own specific tests and requirements). Admission to undergraduate courses and tuition are free so far, except for certain specific courses like MBAs. 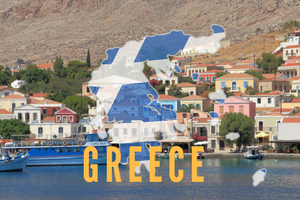 Foreigners from non-EU countries (with certain exceptions) wishing to study in Greece will need to acquire a student visa (type D) from a Greek consulate. All students (undergraduate or masters/Ph.D.) get free health care until the end of their studies. For Admissions to English Programs (like MBA), GMAT and TOEFL/IELTS might be required. National and Kapodistrian University of Athens (or just University of Athens) is considered to be best University in Greece.